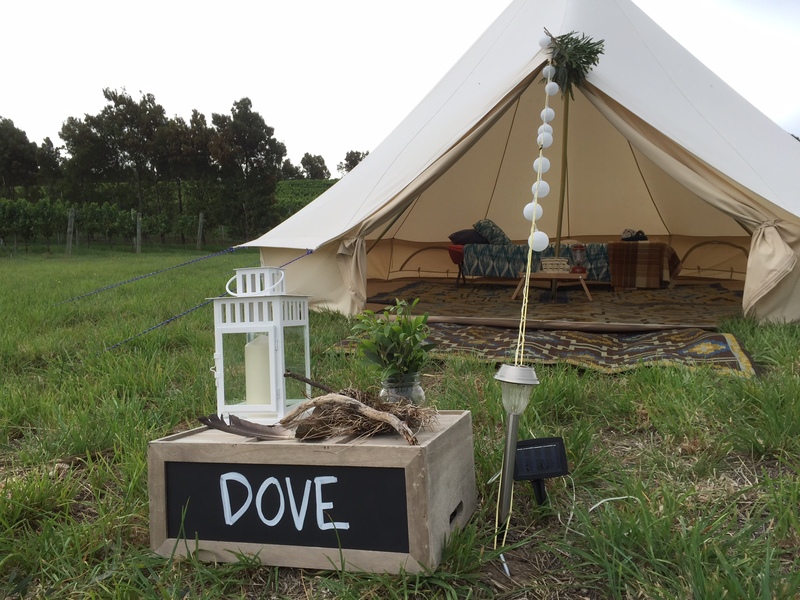 Although Happy Glamper’s focus is strongly on the Mornington Peninsula every now and then we like to embark on adventure projects, such as Jessie travelling to Byron Bay to provide glamping for the ‘Local Milk’ Slow Living Retreat in April 2015. 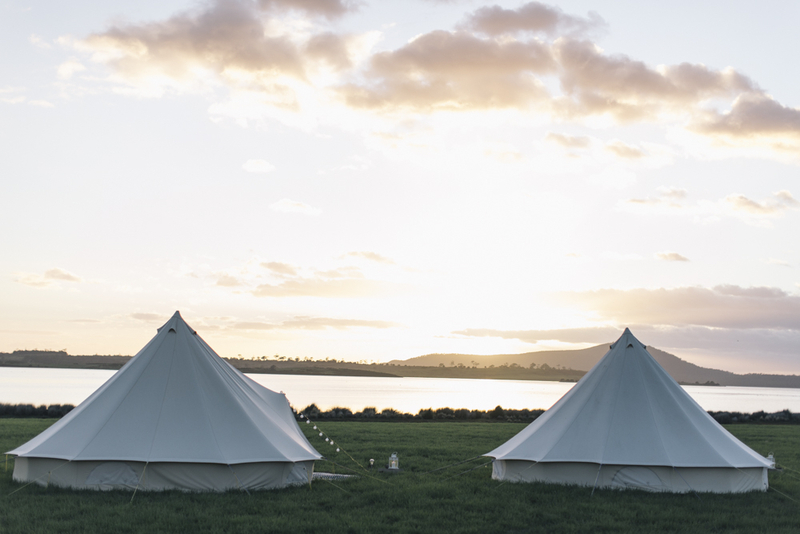 Jessie was getting itchy feet again when she was approached by Dig + Fish and Brown Brothers to provide tents for a wild camping experience on the east coast of Tasmania. 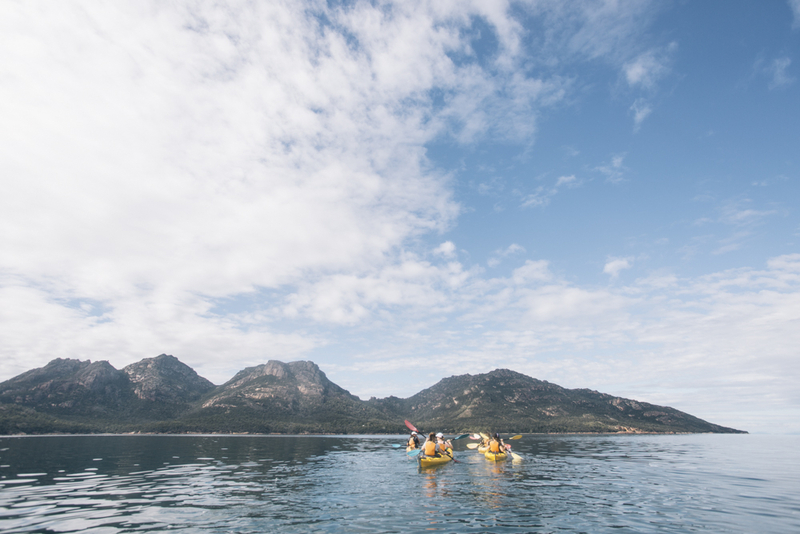 It was easy to say yes to the adventure since part of Jessie’s childhood was spent in Tasmania and we’re huge fans of Pinot Noir! 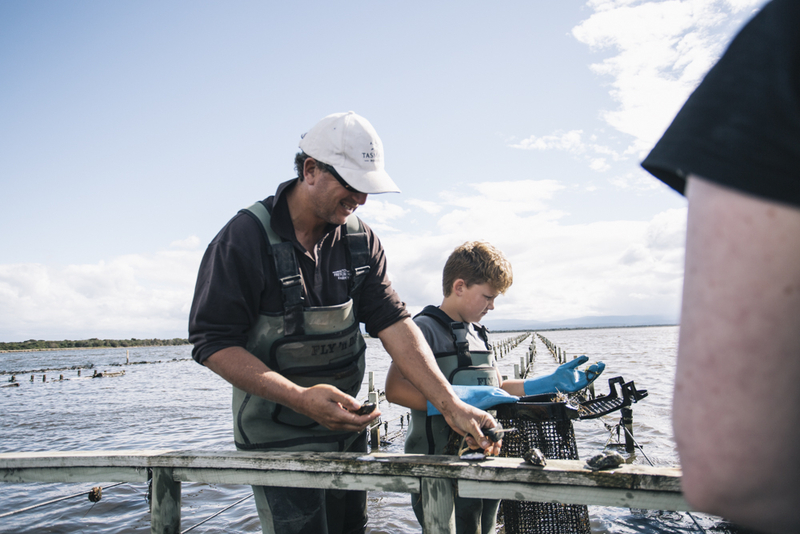 The event, held in late February 2016, hosted media from around Australia and was held to launch the opening of the amazing new cellar door at Devil’s Corner. The location chosen on the huge property was simply stunning. 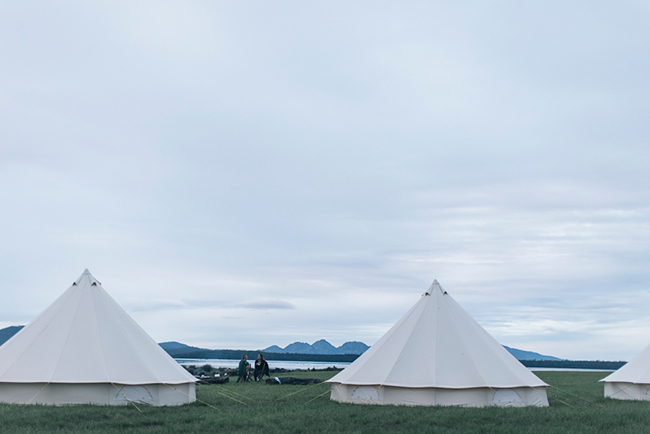 The tents were pitched next to Moulting Lagoon with each facing towards the “Hazards”, a uniquely coloured mountain range. 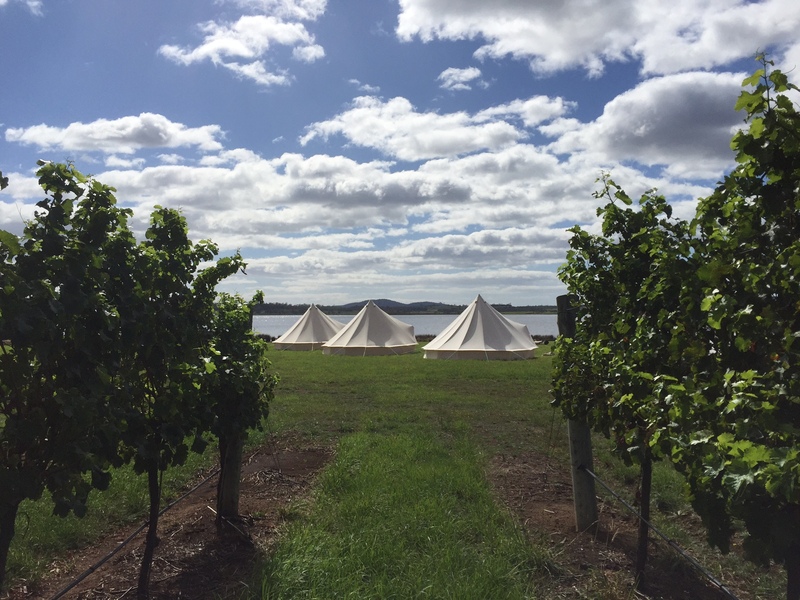 The vines stretched out behind the tents and the soft crooning of black swans peppered the wind. 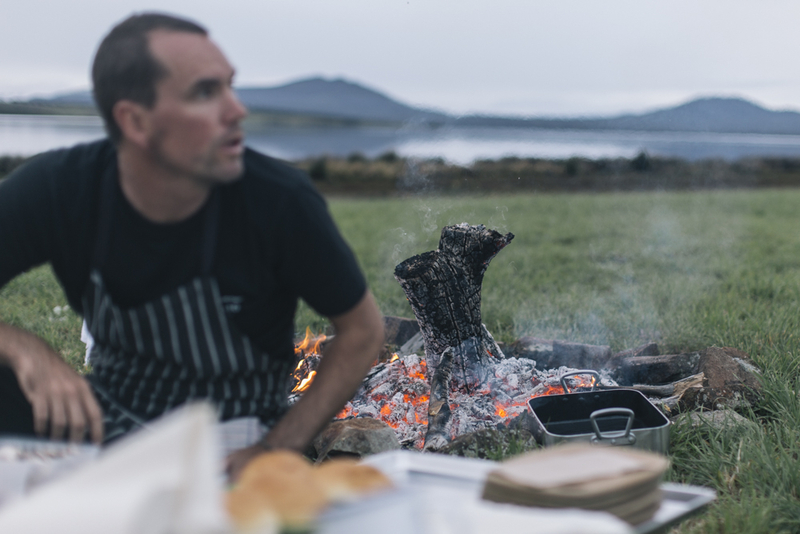 It was the perfect spot to showcase the wildness of the vineyard and the Tasmania East Coast, with patchy, gusty winds whistling through. 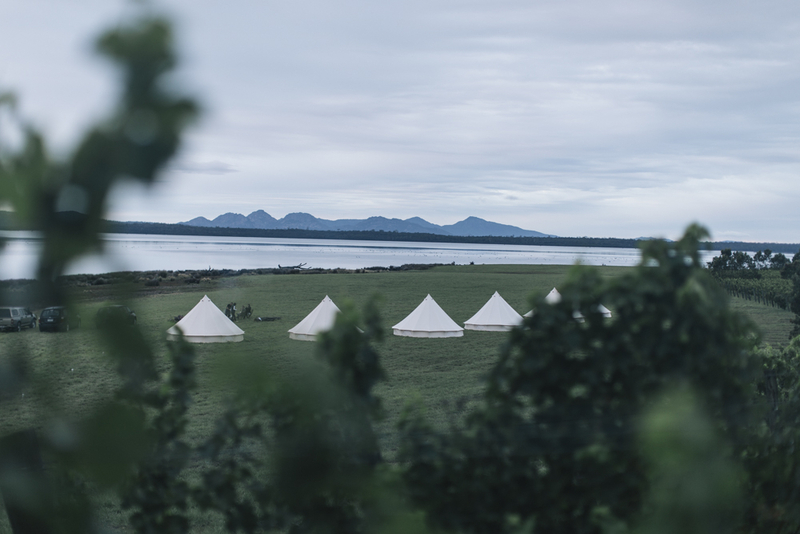 Aleksander Jason captured amazing photos of our tents, the vineyard, a campfire breakfast with Tombolo Cafe, kayaking and shucking oysters with Freycinet Marine Farm. Nikolina Skoric, GQ Australia’s Associate Producer, was one of Devil’s Corner’s guests. Click here for the article she wrote. 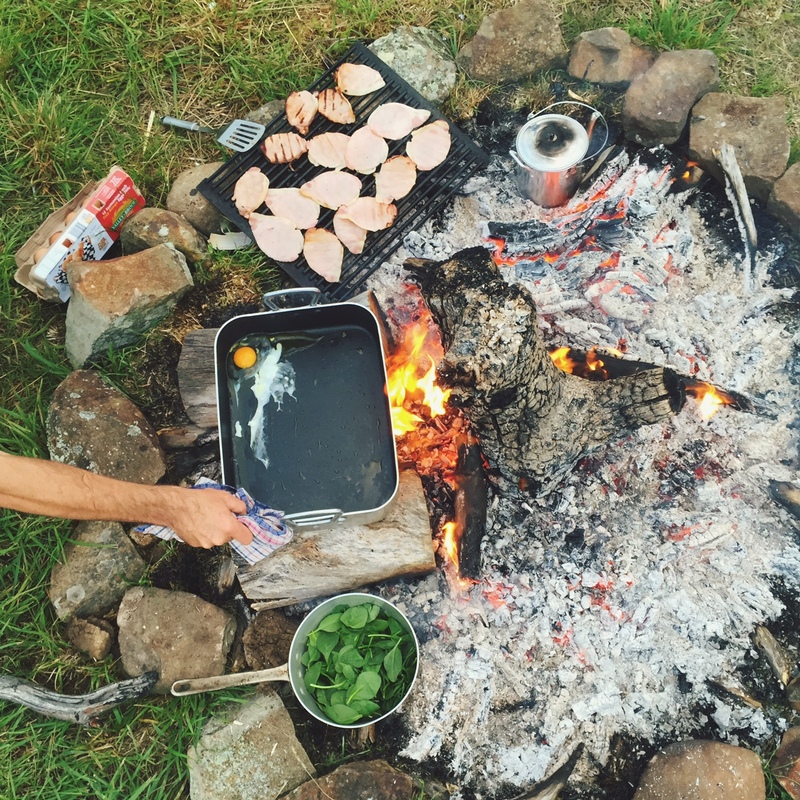 “I should first mention that the trip was a camping adventure. 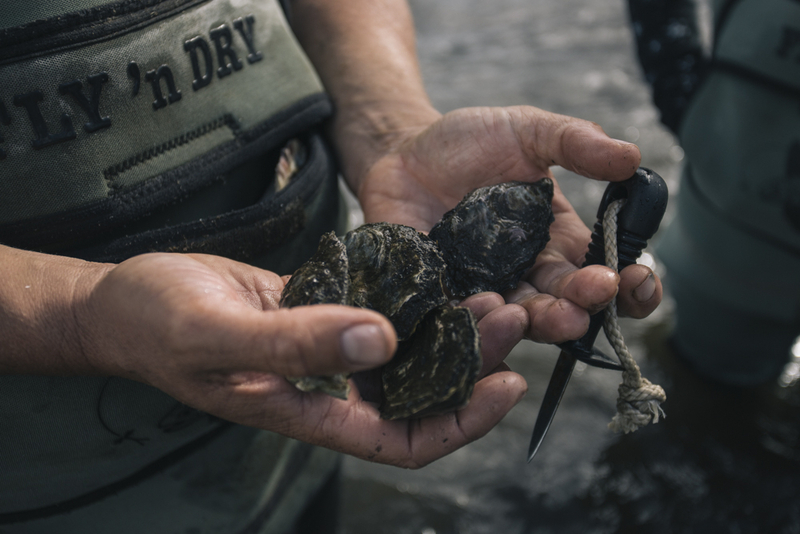 While most of us are happy to enjoy the modest delights of the everyman’s campsites, it’s nice to know what is on offer for those who are easing into the outdoors, which is where Happy Glamper came in. 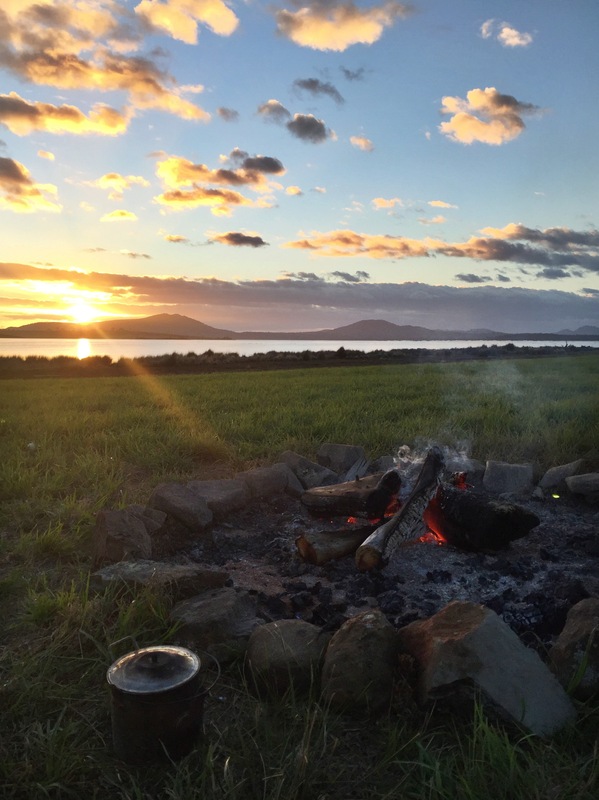 Another glamper, Pip Jarvis, wrote an article about her experience for The Urban List, entitled ‘How to Weekend in Tassie like a #Fitspo Foodie”.